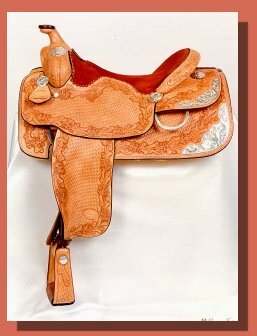 Pernokas Saddlery is located in Stephenville, Texas...the heart of Central Texas' horse and cattle country. We are conveniently only 70 miles from Fort Worth, which is a center for many rodeo, cutting and horse show events. At Pernokas Saddlery, Nick and Lindy Pernokas and their small staff, create custom saddles and tack in the traditional, personal way. Each piece of leather is cut and fit by hand. This process takes a little longer than mass production, but it is definitely worth waiting for! Thanks for stopping by our web site. Come see us soon! 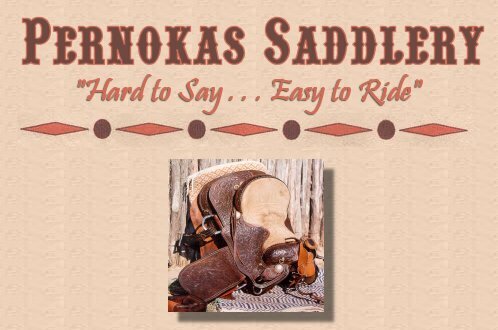 Make sure and check out the latest News from Pernokas Saddlery!